Monday, August 20, 2018 - Over the weekend, former Machakos Senator, Johnson Muthama, walked his daughter, Patricia, down the aisle in a lavish wedding attended by several politicians. The beautiful Patricia tied the knot with her long time fiancé, a guy by the name Evans Omondi Odiero in a colorful ceremony at Rea Vipingo. 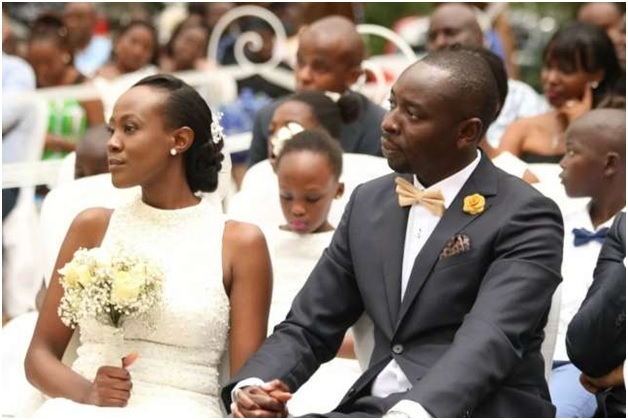 In April, the two love birds held their pre-wedding ceremony at Patricia’s father’s home in Tala, Machakos County. Some of the politicians who attended the wedding include Siaya Senator, James Orengo, Wiper leader, Kalonzo Musyoka among others.